We got a sneak peek at the much anticipated 2020 Jeep Gladiator. This mid-size pickup truck rides on an extended version of the Wrangler platform, so, it's like a good thing, but more of that good thing. Micah Muzio had 20 minutes to shoot it and talk about it. Here's almost six minutes of pure Gladiator-ness. Are you not entertained? Pete Milosavlevski, chief engineer, talks about the engineering of the all-new 2020 Jeep Gladiator. We've heard rumors about a Wrangler pickup for years, and in its absence a handful of aftermarket outfits have made a tidy sum selling conversion kits for existing four-door Jeeps. 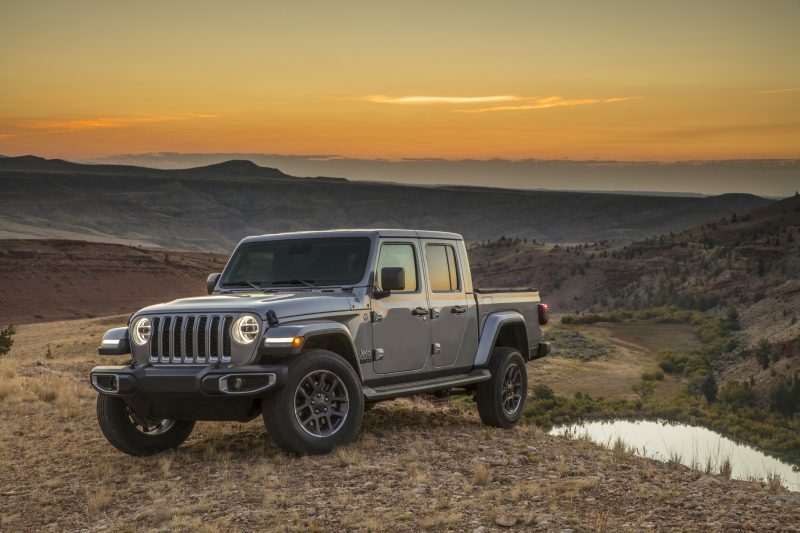 But the new 2020 Jeep Gladiator is the real deal. For years, it's the full factory-built Jeep Wrangler pickup that everyone has been hoping for. Q: Is the 2020 Jeep Gladiator a real pickup truck? A: The Jeep Gladiator will be a strong contender in the hotly contested midsize-pickup segment. It only comes as a crew-cab 4x4 with a 5-foot bed, but that's by far the most popular midsize configuration. Also, it's arguably the only configuration that makes any sense for a Jeep pickup. Q: Is the Jeep Gladiator any good at towing and hauling? A: The specs suggest that the Jeep Gladiator will excel at towing and hauling. In fact, its maximum tow and payload ratings of 7,650 pounds and 1,600 pounds are best-in-class among midsize gasoline crew-cab 4x4s. As with any truck, both of these do not exist in the same vehicle. The max payload version is the Sport with a manual transmission, and the max towing version is a Sport with an automatic and a couple of choice options. The best a Rubicon will do is 1,200 pounds of payload with the manual or 7,000 pounds towing with the automatic. Q: What is the Gladiator like inside? A: From inside it is very hard to tell whether you are in a Wrangler four-door or a Gladiator without turning around, and that's even true if you're sitting in the back seat. The sheet metal and interior are the same from the back edge of the rear door all the way to the nose. The rear seats sit in the same position relative to the fronts, too, but those rear seats do fold in interesting ways if you set them to haul cargo instead of people. A: For now, the only Gladiator engine is the 3.6-liter Pentastar V6, a strong and efficient motor we like a lot. We've found it to be powerful enough for a Ram 1500, so it should be fine for truck duty in the Gladiator. An optional 3.0-liter V6 EcoDiesel engine will be offered in the future, possibly six months to a year after the Gladiator goes on sale this coming spring. Kim Mathers, Head of Mopar Performance and Accessories Portfolio, discusses the Mopar-customized version of the much-anticipated 2020 Jeep® Gladiator. The Mopar brand will deliver a portfolio of more than 200 parts and accessories available to enhance the all-new 2020 Jeep® Gladiator. A Mopar-modified 2020 Jeep Gladiator Rubicon, on display at the 2018 Los Angeles Auto Show's AutoMobility LA, highlights the open-air personalization potential of the most capable midsize truck ever. The all-new 2020 Jeep® Gladiator – the most capable midsize truck ever – is going racing at this year’s Every Man Challenge during the King of the Hammers Desert Off-road race. Savvy Off-Road, an aftermarket shop based in Corona, California, is handling competition preparations, bringing expertise gained while earning the overall win at five consecutive Every Man Challenges from 2012 to 2016, and again in 2018. 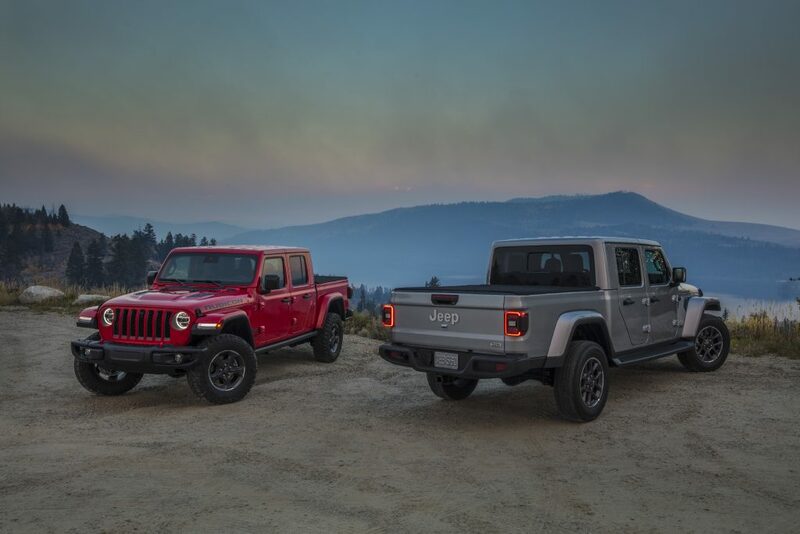 The all-new 2020 Jeep® Gladiator – the most capable midsize truck ever – began shipping to U.S. dealers from its home at the FCA US Toledo (Ohio) Assembly Complex on Friday, April 12, 2019. The Company invested $273 million to retool and modernize the plant for Gladiator production, and added 329 full-time positions to support the build. Revealed in November 2018, the Gladiator is built on a rich heritage of tough, dependable Jeep trucks with an unmatched combination of rugged utility, authentic Jeep design, open-air freedom, clever functionality and versatility, best-in-class towing and 4x4 payload, advanced fuel-efficient powertrains, superior on- and off-road dynamics and a host of innovative safety and advanced technology features.